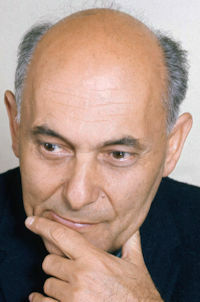 Solti’s Siegfried at Covent Garden in 1962 was his first performance ever of this opera. The broadcast of the 17 September 1962 was the 4th and last performance of this new Production. Having dispensed with the designer Herbert Kerns after the poorly received Die Walküre the previous year, the new Covent Garden Ring continued with Siegfried produced by Hans Hotter and design and costumes by Gunther Schneider-Siemssen. Götterdämmerung would be staged in 1963 and broadcast. Das Rheingold and the re-worked Walküre would arrive in 1964 (unfortunately there were no broadcasts) and the complete Ring was performed and broadcast in 1965. Solti was provided with a superb cast for this Siegfried including Nilsson, Windgassen and Stolze who would all go on to record the opera with him later in the year in Vienna. The unlikely star of the evening was David Ward, making his debut in the role and almost succeeding in stealing the evening away from the other two principals. He studied the Wotan/Wanderer roles with Hotter in Munich and began his career singing these roles here at CG. He had a wonderful sonorous voice with a strong top register which easily encompassed the role of the Wanderer. There is a superb repartee between Stolze and himself in Act 1. His scene with Erda in Act 3 is outstanding. This is without doubt the best Wotan voice of the 1960s. Had he but continued his Bayreuth career after his great success as Fasolt in 1961, he would no doubt have sung the role there later in the ’60s. Unfortunately he enjoyed his Summer vacations too much and no amount of offers from Wieland Wagner could persuade him otherwise. The singing of Windgassen, Stolze and the rest of the cast is entirely what we would expect of them. Nilsson was in glorious voice and in the final scene she is tremendous. Nilsson and Windgassen were well know to Covent Garden audiences having sung these roles together there since 1957. Alberich was sung by the then current Bayreuth interpreter, Otakar Kraus, possibly the best interpreter of the role ever. He was a member of the CG company and had been singing Alberich there since 1951. Solti conducts well and his Siegfried is a fine interpretation. Much different to the commercial recording where he comes under the influence of John Culshaw. The sound of this broadcast is excellent and can be highly recommended.